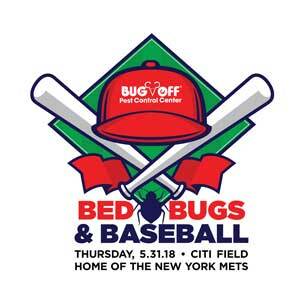 Bug Off will host “Bed Bugs and Baseball” on Thursday, May 31, 2018, at Citi Field, home of the New York Mets. This recertification workshop will be presented by MGK’s Brian Cooney in Citi Field’s state-of-the-art auditorium. After the seminar, attendees will watch the Mets play the Chicago Cubs in the exclusive Citi Pavilion. Participants will feast on unlimited ballpark snacks, soft drinks and beer. Admission is $150. The deadline for registration is May 26, 2018. Space is limited: People are encouraged to sign up soon so they don’t miss out on training, credits, food, gifts, prizes, promos, networking and baseball under the stars.